Accounting just got a whole lot easier with FreshBooks. A cloud-based accounting system designed for the non-accountant, FreshBooks makes it easier than ever before to send invoices, track expenses, and even monitor working hours online. Click on the button below to receive your free 30-day trial of FreshBooks cloud accounting. You can try Freshbooks risk free with no credit card details required and the ability to cancel your account easily at any time. Simply enter your name and email address on the signup page to get started! Ever since FreshBooks was founded all the way back in January 2003, their goal has been the same: to make every aspect of accounting, especially billing, easier. And the goal has always been to market this service towards small and medium businesses as well as independent entrepreneurs. But FreshBooks isn’t just about ease of use. It’s also about professionalism. Before FreshBooks was born, Mike McDerment, CEO and founder of the company, was struggling to find the perfect program to create professional looking invoices. The best option on the market, at the time, was Word. And in addition to being frustrating to use for invoicing, Word also wasn’t built to create invoices that actually looked good. So Mike set out to create his own service. He couldn’t find a solution to his accounting software dilemma, so he set out to create a solution for himself. The end product is what became the foundation of modern day FreshBooks. From humble beginnings with just a handful of users and an office located in Mike’s parent’s basement, the FreshBooks has grown into a very successful company with over 5 million users in over 120 countries around the world. In fact, no accounting service has more subscribers than FreshBooks except for QuickBooks Online. Yet that’s not the end to it. While QuickBooks has FreshBooks beat by a hair when it comes to accounting software in general, they come nowhere close to FreshBook’s success in the cloud accounting world. With that said, FreshBooks holds the top spot as the number one cloud accounting solution for small business owners. Our FreshBooks coupon is available now for a limited time only. Simply click the link above, sign up with the service, and your discount will be automatically applied. You’ll be able to immediately begin to use FreshBook’s unique cloud-based accounting service. The FreshBooks discount that we’re offering gives you a free 30-day trial of the service. With this free trial, you receive access to all of the service’s many features. Best of all, you aren’t required to enter any credit card or other payment details until the end of the trial month. At this point, you’ll be prompted to enter your payment information if you’re happy with the service and would like to continue using it into the future. The best thing about our FreshBooks coupon is that it’s completely risk free. You’re not tied down into anything. You can cancel at any time. It’s simply just a great way to learn more about the FreshBooks service without paying a cent upfront. FreshBooks has a lot of things going for them. Their popularity as the number one cloud accounting service attests to this. So what’s so great about FreshBooks? Read on below to find out. The simplicity of FreshBooks is one of the top reasons the company has been so successful. The service is very intuitive and easy to use. It’s designed with non-accountants in mind so you can rest assured that you’ll be able to use it effectively even if you don’t have a lick of accounting experience. The interface is one of the most user-friendly aspects about the FreshBooks service. It offers a variety of customizable tools and add-ons. There are literally dozens of these options, ensuring that you can use the software in exactly the way you need to use it. Another neat feature of FreshBooks is its mobile capability. You can use it anywhere you can connect to a mobile device. This allows you to create invoices on the go. However, the thing we like best about FreshBooks is undoubtedly its customer service. Despite the company’s enormous success, they still maintain a family-run atmosphere. Talk to a customer support representative and you’ll swear that you’re dealing with a local business. The representatives are just that friendly, knowledgeable, and professional. They really do have your best interest in mind. To top all of this off, FreshBooks has received countless awards for their excellent customer service since they were founded in 2003. 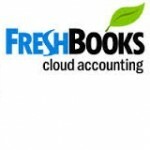 FreshBooks essentially only offers a single product/service: their FreshBooks cloud accounting for small business owners. However, it comes with dozens of great features that make using it even more effective. The most noticeable feature of the product is the overview dashboard. This is where you see all of the information related to your accounts. It’s sort of like a “history” of your activity. You can see your recent activity, invoices and expenses, outstanding invoices, and active tickets on this page. The invoice feature is the most extensive of any FreshBooks feature. One key sub-feature of the invoicing is estimates. You can use these to create and send estimates. When needed, you can quickly and easily convert these estimates into actual invoices. Other invoicing features of FreshBooks include recurring invoices, auto-billing, automatic payment reminders, and client statements. You can even have the service send automatic thank you notes to customers. FreshBooks also gives you the ability to apply discounts or late fees to invoices. Another one of the chief features of FreshBooks is time tracking. This service allows you to keep track of your hours and the hours your employees work. FreshBooks intuitively displays this information as a timesheet. You can enter this information manually or with an electronic timer. The other key service that FreshBooks provides is expenses. In this area of the software, you are able to enter your expenses. You can even include future bills and recurring bills. Unfortunately, there is not a full Accounts Payable feature. This means you aren’t able to see whether or not you have paid a bill. You also cannot see upcoming due dates for bills. Yet this is just the tip of the iceberg as far as services go. There are also services for reports, inventory, projects and tasks, contacts, sales tax, multi-currency, documents, API, import/export capabilities and more. Once more, to access all of these great services and features of FreshBooks sign up with the company by clicking the provided button. This will automatically give you your free 30-day trial FreshBooks discount coupon.